Adding widgets to iphone 7+ - Help Please? 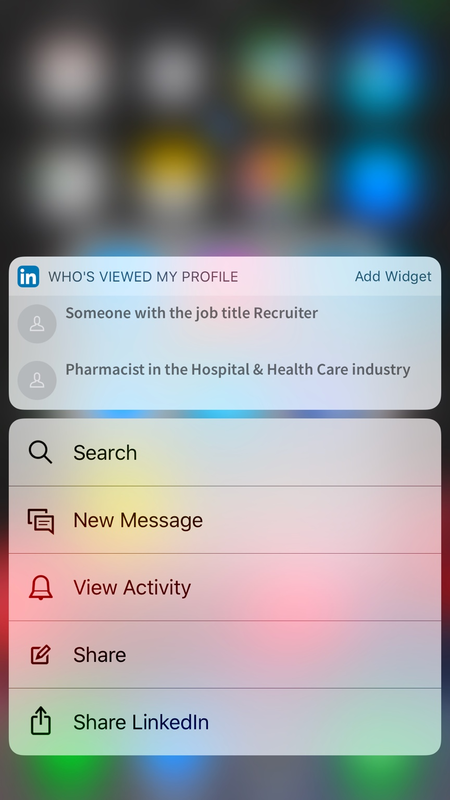 when I first started personalizing my iphone 7+, if I pressed on one of my newly installed apps it would show 'add widget'. I ignored because I wasn't ready to do that yet. Now that I am, I cannot get the apps to show the 'add widget'. In fact none of the apps I installed will pop up on the widget scroll. I checked the tips and it said to press and hold and the option would pop up; have tried everything; no help in Youtube - hoping someone here has had this problem and can help. Sorry if this appears somewhere, I waded through some, but none of my search questions revealed this particular problem. Re: Adding widgets to iphone 7+ - Help Please? Can you not just swipe right on the home screen to show the widget screen and then scroll down to select "Edit" to add and/or remove the available widgets? To my experience apps has to support the 3D touch option. Most of my apps doesn't. Yes, I can, but my own downloaded apps are not shown on the widget menu so I can't add them. Then more than likely the apps do not have an associated widget. Either that or the "downloaded" apps are not authorized to install a widget. Scroll down to the "edit" option. Those with the green dots are apps with a widget. If your app is not there, then it doesn't support a widget.